Where is the 2019 Europa League final being played? The final will be played at the Olympic Stadium in Baku, the capital of Azerbaijan. The stadium has a capacity of 68,700. The ground, which opened in March 2015, is the home of Azerbaijan's national football team, and also hosts major athletics events. John Anthony Brooks scored a 90th-minute equaliser. 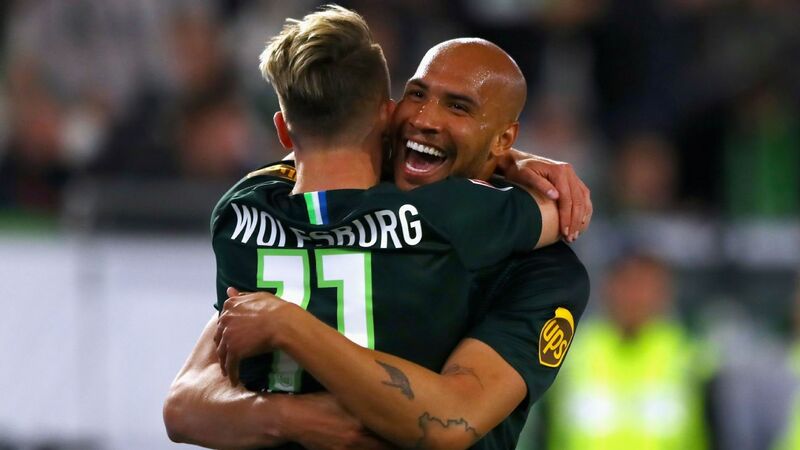 Fourth-placed Eintracht Frankfurt squandered the chance to widen the gap with their rivals in the Bundesliga after conceding a last-gasp equaliser in a 1-1 draw with VfL Wolfsburg on Monday. Frankfurt, who host Chelsea in the Europa League semi-finals next month, thought they had scored the winner when substitute Jonathan De Guzman netted in the 79th minute after Wolfsburg twice hit the woodwork. But John Anthony Brooks snatched a 90th-minute equaliser for a deserved point for the hosts. 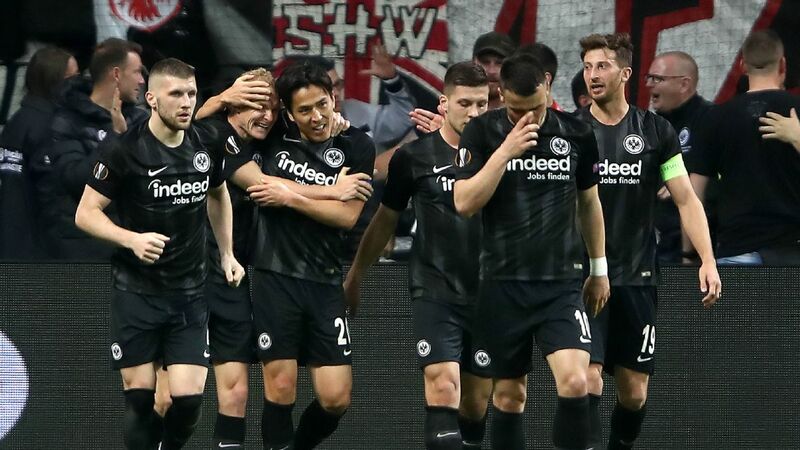 Eintracht Frankfurt have reached their first European semifinal for 39 years. Eintracht Frankfurt beat Benfica 2-0 on Thursday to overturn a 4-2 first leg deficit and advance to the Europa League last four on the away goal rule for their first European semifinal appearance in 39 years. Goals from Filip Kostic and Sebastian Rode were enough to put them through and they will next face Chelsea, who beat Slavia Prague. Benfica's 19-year-old forward Joao Felix became the youngest player to score a Europa League hat trick as he led them to a 4-2 win over 10-man Eintracht Frankfurt in their quarter-final first leg on Thursday. 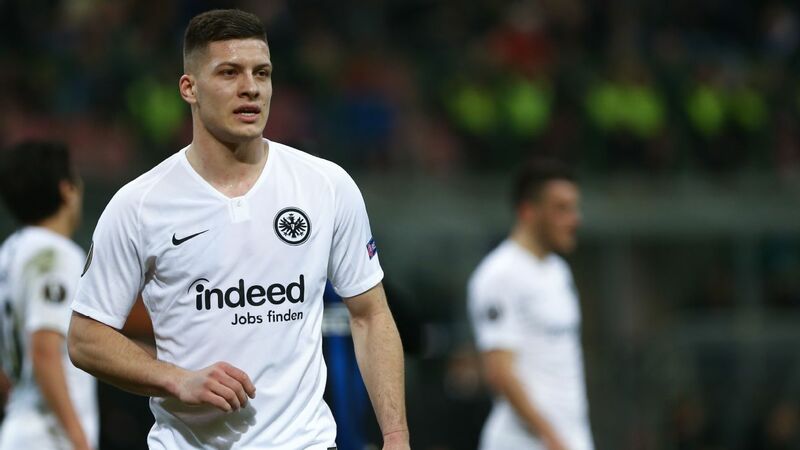 Eintracht Frankfurt's Filip Kostic scored a goal in each half to help his team secure a 3-0 victory over strugglers VfB Stuttgart on Sunday, lifting them into to fourth place in the Bundesliga and in contention for a Champions League spot. Serbia international Kostic fired in from a tight angle on the stroke of halftime after Ante Rebic's effort was deflected in the 39th minute and he then struck again in the 64th.